When the girls go out, this boy plays! While my wife and her entourage go to Charlie’s for pizza and a girl party, I cook up my own excitement. Here is my alluring dinner, one I can make only when I am the sole diner. 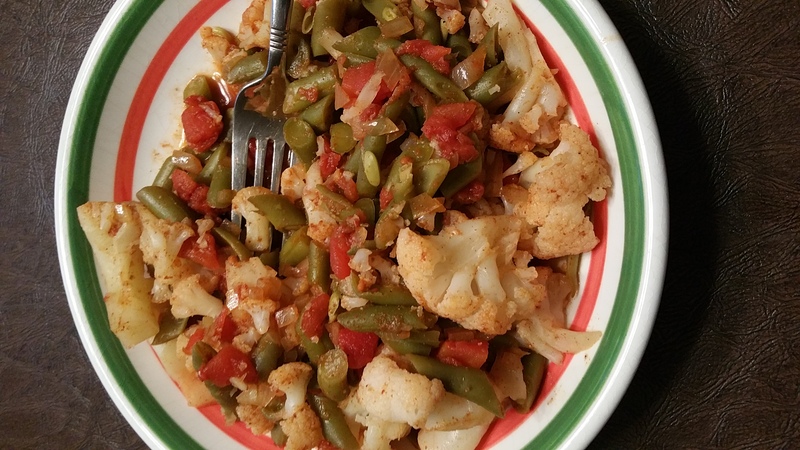 Cauliflower, fried onions, a can of Rotel tomatoes and green chiles, green beans, and a very healthy amount of Mexene chile powder, cumin, salt, garlic salt, and my magical touch. Home alone, lord of my dominion, and ready for Netflix to indulge my fantasies.